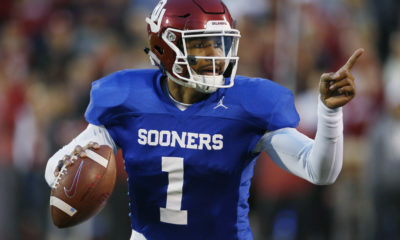 NORMAN – Kyler Murray’s record performance earned him Big 12 Offensive Player of the Week honors, the conference announced Monday. Murray accounted for seven touchdowns, which tied a school record, in No. 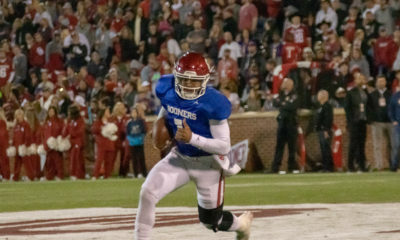 7 Oklahoma’s 66-33 victory against Baylor on Saturday. The award is the third in five weeks for Murray, who became the first player to earn the honor three times in the first five weeks of a season since Texas’ Ricky Williams in 1998. Murray completed 17-of-21 passes for 432 yards and six scores. He also rushed for 45 yards and a touchdown on 10 carries. The Sooners averaged 11.2 yards per play, which is the third-largest total in school history. Murray’s 348.0 passing efficiency rating smothered the former school record (minimum 20 attempts) of 303.3 by Jason White in 2003 against Texas A&M. It was the highest by an FBS player since at least 1996. 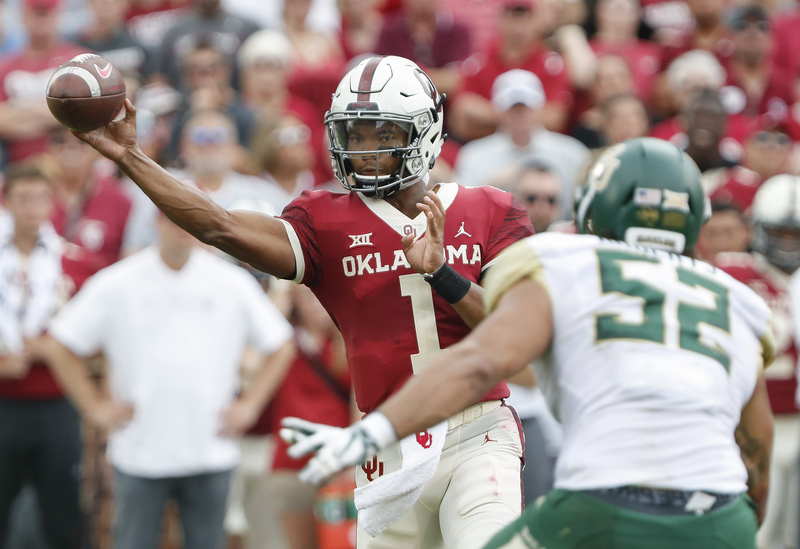 Murray also set OU single-game records for passing yards per attempt (20.6; minimum 20 attempts) and yards per completion (25.4; minimum 15 completions). The redshirt junior is the only player in the country who averages at least 250 passing yards (292) and at least 50 rushing yards (55.2) each game. He ranks first nationally in yards per pass attempt (13.5) and yards per completion (19.1). Murray is second in passing efficiency rating (231.7) and points responsible for (126), third in passing touchdowns (17), fifth in total offense per game (349.0 yards) and 10th in passing yards (1,469) and completion percentage (.706). Murray and the potent Sooners (5-0 overall, 2-0 Big 12) return to action Saturday when they face No. 19 Texas. The game kick off at 11 a.m. from the Cotton Bowl and will be televised on FOX.